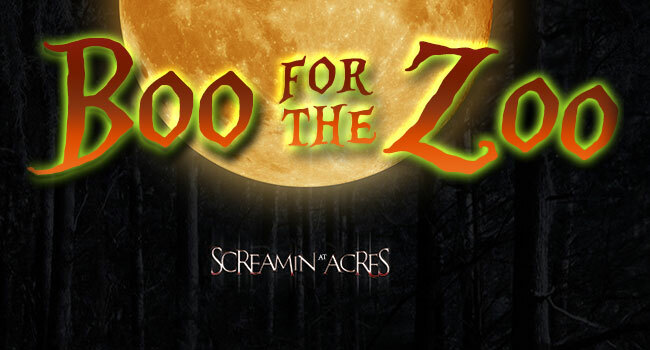 This year Screamin’ Acres haunted house in Stoughton is having a special, family-friendly event to benefit the Henry Vilas Zoo in Madison. The Boo for the Zoo nights will be October 3rd and 10th from 6-8pm. The lights will be on with limited, family-friendly characters inside The Last Resort and Side Effects attractions. I’m guessing the Slaughter House attraction will probably still traumatize beyond repair even with the lights on. At 8pm the lights go out, the ghouls take their places and the blood-curdling madness begins like usual in all three haunted attractions. Tickets are $15, with $5 of every ticket sold going directly to the zoo.